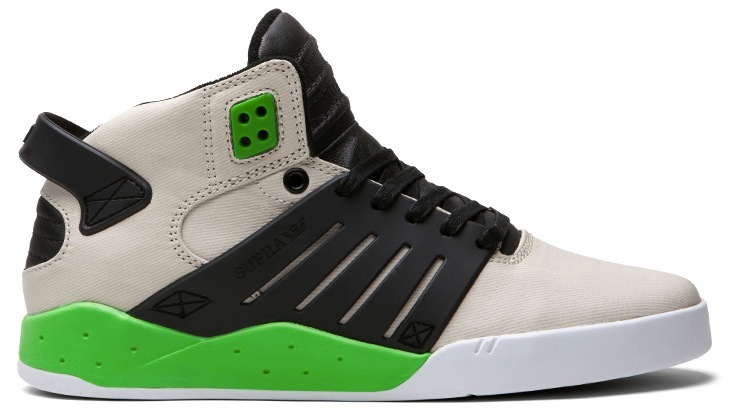 Supra Skytop III “Jade” is one of the few “Vegan” colorways to come out from this massive line of over the top skateboard shoes. That being said, Supra always has some of the more unique color schemes and who doesn’t want to pretend they ride a hoverboard to school. The collar and tongue feature a hefty amount of padding to protect your ankles. 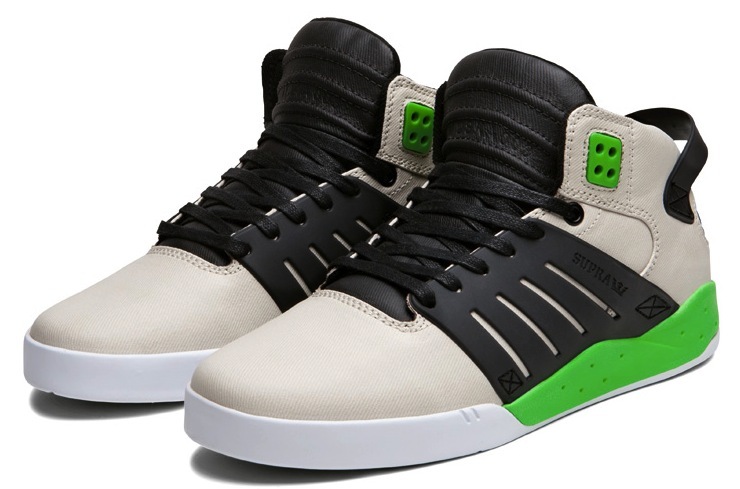 If you are the kind of skater who misses the puffy “Basketball skateshoe” from the late 90’s then the Skytop III is your solution. The tongue is also a black waxed twill on the outside, but is soft and fuzzy on the inside. Another thing you may miss from the 90’s; Air! The cupsole features an air pocket in the heal. An excellent feature when pulled off successfully. Otherwise its a one way ticket to squeaker-town.